Reality show Our Perfect Wedding, which began in 2011 in South Africa, has arrived in Nigeria. Having run successfully in South Africa, Kenya and Zimbabwe, the format has been adapted for Nigeria, following local couples as they plan and organise their weddings. The show reveals all that goes on when making preparations, including venue arrangements, traditional ceremonies and the drama that accompanies in-laws while trying to achieve the perfect wedding. 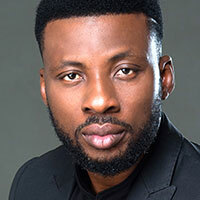 Coproduced by Adeola Oloyede, the show has Suleiman Kazeem as the executive producer and former Big Brother housemate Vanessa Williams (aka Vandora) as the host. Martin Mabutho, chief customer officer at broadcaster MultiChoice Nigeria, said: “The show has been successful in other African markets like South Africa and Kenya, and we’re elated to bring it to Nigeria. Our Perfect Wedding Nigeria airs at 18.00 on Sundays on DStv Channel 151. 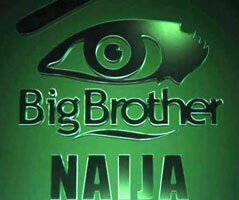 Pay TV group MultiChoice has outlined its plans for the fourth season of reality show Big Brother Naija. The company has launched a pop-up channel on its pay TV platforms DStv and GOtv that began airing this month. The channel airs events and highlights from the two previous seasons and will run till March 31 on DStv channel 198 and GOtv channel 12. In addition to this, there will also be a reunion show that will air from March 18 to 31 and will show stars that were in the BBNaija Double Wahala season. Subscribers to DStv Premium, Compact Plus, Compact, Family, Access, GOtv Max and Plus packages have access to the pop-up channel. Auditions for this year’s edition of BBNaija took place across eight cities in Nigeria and the show is set to take place in Nigeria as well. 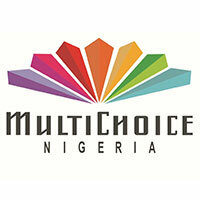 Pay TV company MultiChoice Nigeria has introduced three more NTA channels as well as a local entertainment network to expand its content offering on its DStv platform. The channels are NTA 2, NTA Parliament, NTA News 24 and POP Central TV. NTA 2 airs on DStv 369 and is a free-to-air entertainment channel offering music, movies and talkshows. NTA Parliament airs on DStv 370 and looks at issues affecting Nigeria. It also covers live sittings of the legislative arms of government, the National Assembly (state and federal), House of Representatives and the Senate. NTA News 24, which airs on DStv 419, is an English-language general news channel that provides news about various sectors of the economy, including analysing topical issues that affect the country. POP Central TV airs on DStv 189 and is a pop-culture entertainment platform that focuses on expressing diverse culture through the use of content creators and other interest groups. The new channels are available on DStv Premium, Compact +, Compact, Family and Access packages. 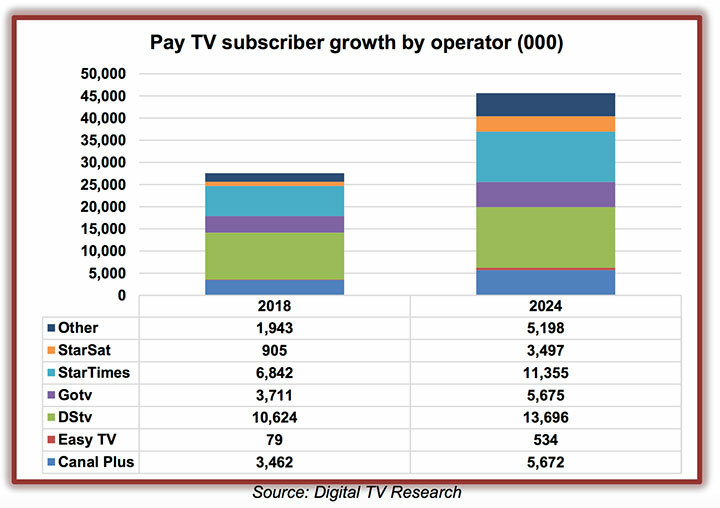 The number of pay TV subscribers in Sub-Saharan Africa will grow to 45.63 million by 2024, according to the newly published Sub-Saharan Africa Pay TV Forecasts report. This suggests Sub-Saharan Africa will add 16 million subscribers in the next six years, marking an increase of 61%. Pay TV revenues were forecast to reach US$7.72bn by 2024, up by US$2.3bn on 2018. Three big operators – MultiChoice, Vivendi/Canal+ and StarTimes – dominate the Sub-Saharan Africa pay TV market, with a combined 93% market share. At the end of 2018, pay TV operator MultiChoice had over 14.34 million subscribers on its DStv and GOtv platforms and this figure is estimated to increase by five million by 2024. France’s Vivendi had 4.01 million subs to its Canal+ satellite TV platform and Easy TV by the end of 2018, which will climb to 6.21 million by 2024, said the report. StarTimes had 7.75 million pay TV subscribers by the end of 2018 and it is estimated to reach 14.85 million by 2024. Pay TV operator DStv is marking its 25th anniversary by offering its DStv Explora package at a reduced rate. Currently available at the special anniversary price of N29,900 per month, DStv Explora offers dramas, movies, cartoons, football and telenovelas. It also gives subscribers more flexibility and control, allowing them to pause and rewind live TV. It comes with a full dish kit and one-month compact subscription. In related news, DStv has brought back its Animania kids’ strand for the festive period, which sees it airing an animated movie every day. Titles include Moana, Boss Baby, Despicable Me, Nut Job, Sing, Trolls, House of Magic, The Emoji Movie, Coco and Captain Underpants. They will air on M-Net Movies Smile, DStv channel 105. Response Architects, a new multi-channel retailer that sells innovative products for everyday life, is to launch the first international TV shopping business in Nigeria. Shopex TV is Nigeria’s first international tele-shopping platform and is positioned to give Nigerians direct access to leading products from the global market. 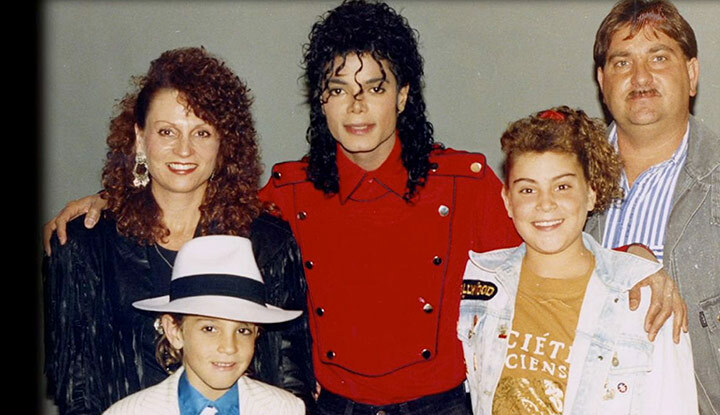 It has completed its first round of financing with investment from television shopping and broadcasting advisors Expert Media Partners (EMP) based in London and is the exclusive distributor in Africa. With television as its main channel to market, this platform is offering Nigerians a range of products they can buy at prices they can afford. The launch will kick-start with a TV campaign featuring an infomercial on December 1 to showcase one of its leading products, the Copper Chef pan. This TV campaign will run in partnership with DStv, EbonyLife TV, TVC and Silverbird TV. Viewers will be able to place their orders for the product by calling dedicated numbers and will receive their order the next day. Shopex TV was founded by Isi Abebe, MD of Response Architects Marketing, who worked as head of media planning and strategy in one of the biggest TV shopping companies in the UK. “We’re excited about this project, having observed Nigeria’s logistics and payment platforms mature over the years. 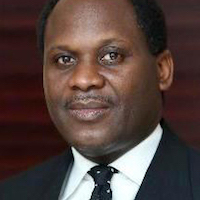 We’re confident that we can make it work and we have a line-up of great products and offers from across the globe that we believe will appeal to the Nigerian market,” said Abebe. Nigerian media entrepreneur Yinka Obebe is behind plans for a new creative content hub in Lagos. He told Content Nigeria about the new venture. Pophub Lagos is billed as the first physical space for content creators in Nigeria and is designed to provide the required facilities, studios and conducive environment for the country’s next generation of content creators. Founded by creative and media entrepreneur Yinka Obebe, the Pophub Lagos brand will be developed and built across various development stages to become a pop culture content creators’ platform, according to the entrepreneur. 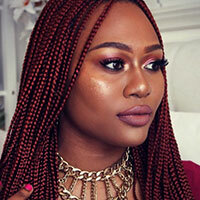 Obebe tells Content Nigeria: “At Popcentral, we want young people to be able to express themselves through content. Pop culture has never been better defined than it is now in the age of social media, where everyone can put forward their culture and subculture in content. So we want to create a platform where that is possible across social, experiential and television. “PopcentralTV is the TV channel and Pophub Lagos is the physical space designed to enable collaboration, creative expression and engagement. The essence of Popcentral is to curate culture through content, while Pophub Lagos provides the meeting point and enablement required to create content and connect with creatives and brands. The Popcentral brand is set to launch TV channels on both those platforms, he continues, and the channels will curate content for entertainment, brand stories and messaging. The company is currently testing TV signals and Obebe says he’s looking forward to launching soon. Pophub Lagos is calling for content creators to send a brief about their ideas to [email protected], after which a presentation will be scheduled. Obebe adds: “We essentially want to co-create with creators. And as long as they are still thinking up new ideas then we are here; we keep listening to them and optimising the platforms and channels for them. “We have studios and all the gear you need. We can, in fact, co-create with you even if you are outside Nigeria. We can receive your feed anytime and from anywhere in the world through your mobile phone. “We have a number of purpose-built studios, a multi-set lounge studio for various shows, from news and talkshows to discussions. We also have a shop studio designed for our teleshopping show. We also have a kitchen studio, one of its kind, designed for interaction and competition and purpose-built. There are other spaces for co-creation, like the green pad, the creators lounge and the outdoor work station we have dubbed the Metal Forest. Obebe is a brand builder who founded media agency Redbox Africa in 2010, where he was CEO and creative director, working extensively with brands across telecommunication, banking, television and FMCGS to create communication, experience, identity, stories and commercials in Nigeria and across other African countries. He currently serves as CEO at Popcentral. Nigerian subscribers to pay TV operator DStv have expressed their dissatisfaction with the services offered by parent company MultiChoice and are calling for a change in the law. They are asking the federal government to force the Naspers-owned South African company to introduce a pay-as-you-view billing system. This, they say, would ensure they get better value for their subscriptions, as they currently pay for services they do not receive. Nigerian businessman Uzochukwu Nwafor told the News Agency of Nigeria (NAN): “They need to put a regulation in place to help subscribers enjoy the money they paid to view the programmes. Civil servant Silvanus Okonkwo also told NAN: “Many companies come to Nigeria and rip us off because our policies are not being implemented. Again, DStv does not have serious competitors and that is why the company is behaving as it pleases. “The pay-as-you-go billing that telecommunications operators offer is supposed to be applicable to DStv,” he continued, adding that the National Assembly should concentrate on the number of subscribers available so that bouquet prices can be reduced. 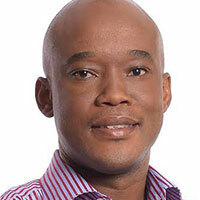 A source at the Consumer Protection Council said it had taken MultiChoice to court over the issue. Naspers, one of the largest technology investors in the world, has announced the new executive leadership team for its MultiChoice Group. The new execs include Calvo Mawela as group CEO, Imtiaz Patel as executive chairman, Tim Jacobs as chief financial officer and Brand de Villiers as chief operating officer. The appointments will take effect on November 1. Calvo said: “I am incredibly excited to lead our team of highly capable executives through this new and exciting chapter for our company. Our leadership team is diverse, experienced and well-positioned to grow our position as the leading entertainment company on the African continent. On September 17, Naspers had made its intention to separately list its video entertainment business on the Johannesburg Stock Exchange and will include MultiChoice South Africa, MultiChoice Africa, Showmax Africa and Irdeto. MultiChoice Group is one of the fastest growing pay TV operators in the world and its multi-platform business reaches 13.5 million households across Africa. Nigeria’s Consumers Protection Council (CPC) is taking further steps to prevent pay TV company DSTV from forcing a price hike on its subscribers. Days after Justice Nnamdi Dimgba of the Federal High Court in Abuja ordered DSTV owner MultiChoice Nigeria to stop the planned implementation of higher tariffs, the CPC stated that Nigerian consumers are complaining about the DSTV subscription process. According to the CPC, DSTV subscribers have been finding it difficult to purchase new bouquet plans with the old rates after the court ordered MultiChoice to halt its price rises. Despite the directive given by the courts, DSTV is yet to confirm that they will adhere to this order or released any statement addressing the issue. The court restriction was put in place after an application was filed on behalf of the Nigerian government by the CPC in case No. FHC/ABJ/CS/894. The application was facilitated by Babatunde Irukera, director general of the CPC, who led other concerned Nigerians to appear in court for the case. Other applicants who jointly signed a nine-paragraph statement include Abimbola Ojenike, Eme David-Ojugo, Moray Adebayo, Teniola Medupin and Florence Abebe. Based on the complaint, the court restrained DSTV from implementing the tariff hike and carrying out activities that may affect the outcome of ongoing investigations by the CPC into the company’s compliance or non-compliance with the February 16, 2016 order pending the determination of the motion on notice. The council stated that all subscribers experiencing any difficulty should email their complaints here, including information such as smart card number, name, telephone number, date and time of failed attempt to pay and, if possible, a screenshot or document that proves the complaint. 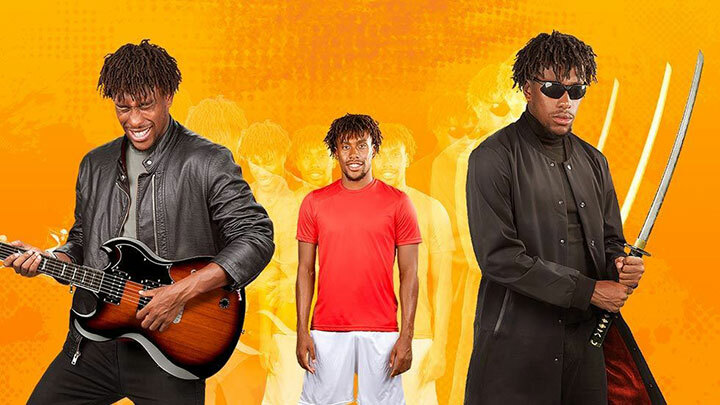 Pay TV platform DSTV has launched an advertising campaign featuring its new brand ambassador, international football star Alex Iwobi. In July, DSTV owner MultiChoice Nigeria announced the Super Eagles and Arsenal FC forward as its brand ambassador for the DSTV Compact bouquet. The pay TV company has now launched an ad campaign featuring Iwobi, which includes TV, digital, radio and press adverts and was launched to coincide with the start of 2018/19 Premier League season. With this new ad, Iwobi showcases his passion for football and uses it to tell a story about the importance of choices. 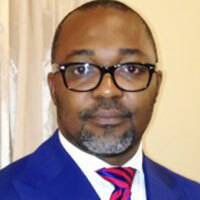 According to Martin Mabutho, general manager of sales and marketing at MultiChoice Nigeria: “It’s always about choices. As people, we make choices every single day, and the choices we make play a huge role in shaping who we become in future. “Alex Iwobi is who he is today because of some of the brilliant choices he made in the past; taking up his uncle’s mantle by juggling a football, to signing with top football club Arsenal FC. Premier League matches are available on the Compact package for N6,800 (US$19) monthly. New subscribers can get the HD Decoder, dish and one month DSTV Compact subscription for N11,900. Pay TV provider DSTV is facing a subscriber backlash for failing to secure a range of football rights, just days after its price hike came into effect. DSTV has not managed to acquire rights to air certain English football competitions, including the one-off Community Shield match (which took place on Sunday) and the FA Cup and Carabao Cup tournaments. Many customers had expected DSTV’s SuperSport channels air this content following the increase in prices across DSTV’s bouquet offerings. However, the statement wasn’t good enough for many subscribers, who took to Twitter to complain, with some stating that the only reason they still subscribe to DSTV is because of the SuperSport channels. They will unfortunately not be broadcasting the #FACup & Community Shield, as their bid for broadcast rights was unsuccessful but they still thought it right to up prices for their @DStvNg bouquets. #DStv is scamming us! Pay TV operator MultiChoice’s price hike across its DSTV Nigeria subscription packages has come into effect. Subscribers pay platform DSTV Nigeria were previously informed that they would see an increase in prices, with many voicing opposition to the move and insisting it be stopped, going so far as to plead with the federal government to intervene. However, DSTV Nigeria countered that the tariff increase is necessary, stating that it is due to the current economic situation in Nigeria and the ever-escalating costs of operations and maintenance. DSTV Premium customers will now pay N15,800 (US$43.89) per month, up from N14,700; DSTV Compact Plus subscribers will pay N10,650 instead of N9,900; and DSTV Compact customers will pay N6,800, up from N6,300. DSTV Family now costs N4,000 (formerly N3, 800) and DSTV Access bouquet would be N2000 (previously N1900) per month. Meanwhile, subscribers to DSTV sister company GOtv will enjoy a reduction on some bouquet prices. MultiChoice informed all customers of GOtv via text message that prices for GOtv Max will fall from N3,800 to N3,200, while GOtv Plus, GOtv Value and GOtv Lite subscribers will continue to pay N1,900, N1,250 and N400 respectively. 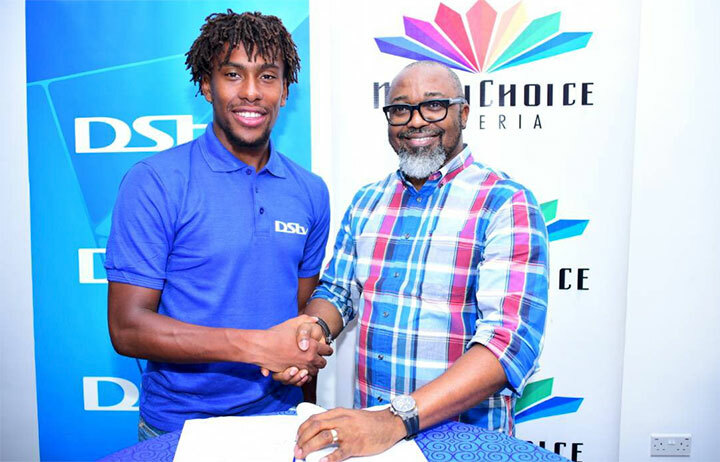 Nigeria and Arsenal footballer Alex Iwobi has become a brand ambassador for pay TV company MultiChoice Nigeria. Iwobi will initially be the face of MultiChoice-owned DSTV Compact, a subscription package that features football and entertainment content. “We are pleased that we are bringing the excitement of the new football season even closer to our customers,” said John Ugbe, MD of MultiChoice Nigeria. Ugbe added that the endorsement deal was a way of showcasing African and Nigerian talent in football. Iwobi, who plays as a forward, said: “It’s an honour to be an ambassador for DSTV. Their passion for promoting sports is unrivalled across Africa. Frederik Obasi, commercial agent for Iwobi, added: “It’s been a pleasure putting this exciting partnership together with MultiChoice. They have demonstrated their commitment to empowering the new generation of African talent. “DSTV is a huge platform, which gives Iwobi exposure not just in Nigeria but the whole of Africa, and we are looking forward to this long-term partnership,” he said. Iwobi recently represented Nigeria in the recently concluded FIFA World Cup in Russia. DSTV is one of the leading pay TV platforms in sub-Saharan Africa with over 100 channels and more than 11 million subscribers. It was one of the four official African broadcasters of the World Cup. The eighth edition of the DSTV Eutelsat Star Awards essay and poster competition is now open for entries. Students between the ages of 14 and 19 are encouraged to take part in the contest, which is organised by pay TV company MultiChoice in partnership with European satellite operator Eutelsat. Submissions can be sent to any MultiChoice office listed on the entry form, which can be obtained from any MultiChoice Resource Centre or through its website. Entries are accepted in English, French and Portuguese and will be judged on accuracy, creativity and originality. Submissions will be accepted until October 12 and the overall winners will be announced at an awards ceremony in February. Twenty-four students will be selected from the expected 1,000 entries and two finalists will be chosen. The essay category winner gets a trip to Paris, where they will see a rocket launch. The poster category prize is a trip for two to South Africa where the winner will visit the South African National Space Agency as well as explore heritage sites as guests of MultiChoice Africa. The DSTV Eutelsat Star Awards began in 2011 with the purpose of encouraging young minds to be innovative in the areas of science and technology. Since then more than 7,000 students have been involved in the competition which has created a platform for the collaboration of the academic and scientific worlds in Africa. Based in Paris, Eutelsat is the third largest satellite operator worldwide. It provides coverage in Europe, the Middle East, Africa, Asia and the US. Eutelsat’s satellites broadcast into over 274 million cable and satellite homes. MultiChoice is the parent company of pay TV platforms DSTV and GOtv, which are among the leading cable networks on the continent, broadcasting in at least 49 countries across Sub-Saharan Africa. African pay TV group MultiChoice is set to launch a pop-up TV channel in honour of the former president of South Africa and ANC leader, Nelson Mandela. On Wednesday July 18, MultiChoice-owned pay TV platform DSTV will launch a pop-up channel dedicated to Mandela, aka Madiba, as a celebration of his legacy. The date also marks a 100 years since his birth. The channel will broadcast for five days on DSTV channel 199. It will begin airing at 19.00 on that day and will be accessible to all DSTV subscribers. 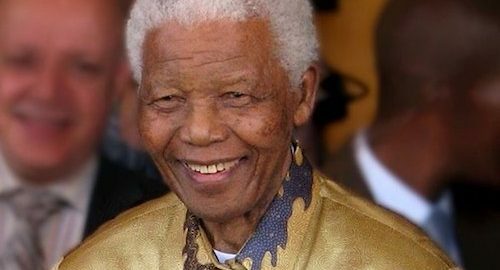 Named Mandela 100 Tribute Channel, the channel was compiled by M-Net for DSTV. 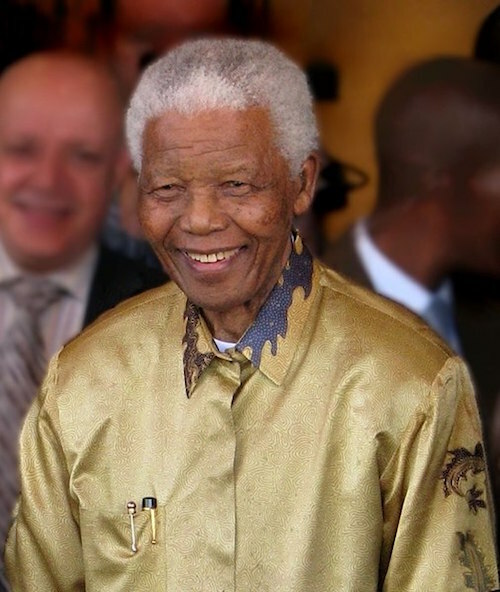 It will feature archive footage, films and documentaries of the late Mandela. From Wednesday July 18 to Saturday July 21, the channel will air content including a four-part miniseries, films (such as The Long Walk to Freedom and Invictus) and documentaries. These include The Face of Unity; In the Name of Mandela; War & Peace; Mandela’s Unsung Heroes; and Countdown to Freedom. Speaking about the channel, Yolisa Phahle, MultiChoice’s CEO of general entertainment, said: “Around the globe, Nelson Mandela is revered as a hero of the struggle and as the man who led South Africa to democracy. While striving for justice and freedom and shaping a nation, he also changed the world with his humility and indomitable spirit. Pan-African pay TV platform MultiChoice is offering subscribers a free trial of its channels. 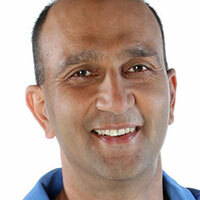 The Naspers-owned company is to give loyal customers access to some of its channels for 18 days at no extra cost. From July 13 to 31, all customers of MultiChoice-owned DTH pay TV platform DSTV and DTT service GOtv will have unlimited access to the Supersport channels. GOtv Plus subscribers are also going to enjoy free access to five channels – Sony Max, CBSReality, ROK 2, Fox and SuperSport Select 4 – usually only accessible to GOtv Max subscribers. This offer will last from July 13 to 26. According to the company, this initiative is a way to reward loyal customers. John Ugbe, MD of MultiChoice Nigeria, said: “MultiChoice Nigeria is excited to continue to bring customers the best in entertainment. This is part of our ongoing commitment to bring more value to our customers. Premium lifestyle and entertainment channel EbonyLife TV has rebranded after marking its fifth anniversary this month. Parent company EbonyLife Media unveiled a new logo and disclosed plans to launch the channel on pay TV platform StarTimes, ending the exclusivity of its carriage deal with DSTV, on August 1. 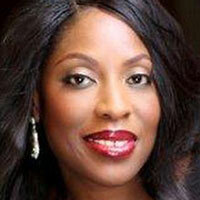 Mo Abudu, CEO of EbonyLife TV, said: “This is an exciting time for us. StarTimes is a force to be reckoned with in Africa. It is a privilege for EbonyLife to have an additional home with the network. “As one of Nigeria’s leading television networks, it made sense to include it in the StarTimes family,” said Justin Zhang, MD of StarTimes. However, reports suggest EbonyLife may have decided to expand its reach in Africa at this time because DSTV is set to stop airing the channel to subscribers in southern Africa this month. EbonyLife is yet to comment on the reports. Meanwhile, it continues to expand not just via TV but also by its VoD service, EbonyLife ON, which was previously available only to international audiences. The video streaming service is now accessible to Nigerians for a monthly subscription of N500. The EbonyLife ON app can be downloaded on Android and IOS app stores. EbonyLife TV launched on July 1, 2013 and is now broadcast across Africa and the Caribbean on StarTimes (channel 107, 191), DSTV (channel 165) and Flow.